DAV Files Won't Play? How to Solve? Yes, playing DAV files in Windows is not as hard as playing DAV files in Mac OS as there is a free DVR 365 Player software only for Windows PC, but there is no DAV player for Mac. Even VLC – which was known as "the player that simply plays everything" can do nothing about DAV files. However, what if I tell you that there is just one perfect DAV player that could open DAV files on both Mac and Windows without hiccups, which means that you can stop your hunting for DAV player and also stop converting DAV to other main stream video formats at the cost of degrading video quality. Ok, the DAV player is called – 5KPlayer. 5KPlayer is a free and robust DAV player for both Windows and Mac OS X, it plays DAV file without installing any codec pack which beats VLC and Windows Media Player and Marks the end of DAV file won't playing on Windows 10/Windows 8/Windows 7 and Mac OS X.
DAV Video Not Playing? Why Is It So Difficult to Play? 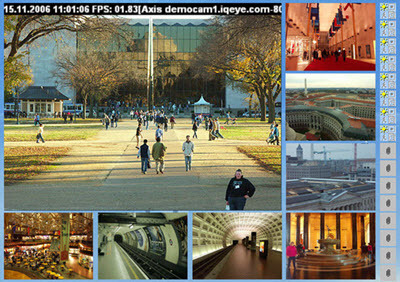 DAV is an encrypted format created by a DVR 365. The DVR 365 video file is originally created with a video recording device such as a closed-circuit television system, certain models of video cameras and certain models of DVRs. DAV files are saved in an MPEG format and are encrypted, so it makes sense that the standard media players like VLC or QuickTime won't playing DAV. There are some people suggested that since there is no DAV player for Mac OS X, you can apply a DAV converter for Mac to convert DAV files to MOV/MP4/AVI on Mac. But most CCTV systems use a proprietary codec, so it is also hard to change the video type. A lot of people have also tried downloading an all-in-one KLite codec pack to open DAV file in VLC, but it turns out DAV video still won't playing. 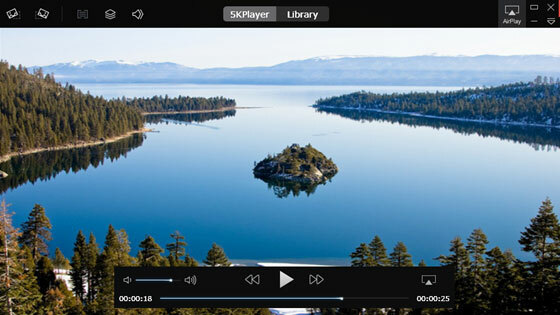 5KPlayer is a powerful media player which plays DAV files on both Windows 10 and MacOS Sierra, no matter the original file is compressed with MPEG or H.264. This best free DAV player is embedded with 450+ video codecs and 180+ audio codecs which completely roots out the hassle of finding and downloading any codec pack to play all main stream video files. Moreover, 5KPlayer is 100% safe and clean with no adware, bundleware attached. With video rotating feature added, you can observe your DAV file more carefully from different angles. Plus, this DAV player not only solves the problem of DAV file not playing on Mac and Windows, but also allows you to add subtitles and edit the video clip. Free download this super DAV player and try it out! Step 1: Free download this best DAV player - 5KPlayer for PC or Mac. Step 2: Install and launch this DAV player. Step 3: Drag and drop the DAV file to the main interface of this badass DAV player. Then it will play the file directly with original quality presented. Note that this superb free DAV player is also capable of playing videos in AVI, MP4, MKV, 1080p, 4K, 8K, etc. If you don't care about video quality loss and insist to convert DAV file to a standard video format, you could use also 5KPlayer to convert DAV to MP4, MOV, AVI, MKV, etc. as this DAV player is also integrated with DAV video conversion feature. Step 1: Move your cursor to the DAV video file in 5KPlayer Library and you will see the "Convert" button. Step 2: Choose Convert to MP4 from the drop-down menu. Besides solving DAV video file not playing problem and play DAV flawlessly on your Mac and PC, 5KPlayer is also a powerful video downloader which allows you to download video files in MP4, FLV, 3GP, WMV, MP3, AAC from YouTube, Facebook and other 300+ online video music site. As introduced as an all-in-one DAV player, 5KPlayer supports converting DAV to MP4 and free stream the DAV file from your Mac/PC to Apple TV via AirPlay as well. Use the best streaming device with DVD player to play DVD/Blu-ray discs and enjoy Netflix, Hulu, Amazon Fire TV, etc. If you want to play DAT videos files on Windows 10/8/7 or Mac, you need this free DAT video player.